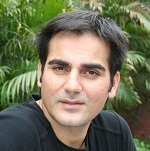 Arbaaz Khan was born on 4th August 1967 in Pune, Maharashtra state. He attended The Scindia School, Gwalior where his elder brother Salman Khan also studied. 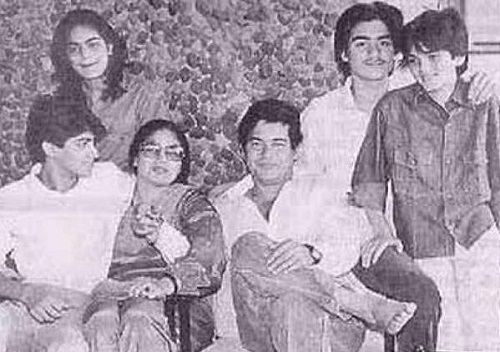 He made his acting debut with Daraar in 1996 co-starring Juhi Chawla and Rishi Kapoor, he earned Filmfare Best Villain Award for his role. He subsequently appeared in numerous commercial hits like Qayamat: City Under Threat co-starring Ajay Devgan, Sunil Shetty, Isha Koppikar, Sanjay Kapoor and Riya Sen, Garv co-starring Salman Khan, Shilpa Shetty and Amrish Puri, Shootout at Lokhandwala co-starring Sanjay Dutt, Sunil Shetty, Vivek Oberoi and Amitabh Bachchan, among other films. After several years of experience in film industry he ventured into film production with his own Arbaaz Khan Productions, the first film out of the production house was Dabangg in 2010 co-starring Salman Khan, Sonakshi Sinha, Sonu Sood and Vinod Khanna. 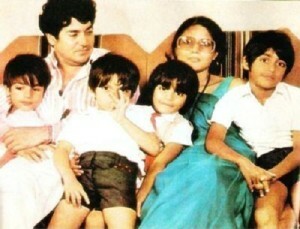 The film was a blockbuster hit and broke several records at box office. 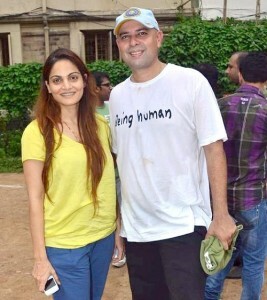 He also ventured into film direction with Dabangg 2 in 2012 co-starring Salman Khan, Prakash Raj and Sonakshi Sinha. 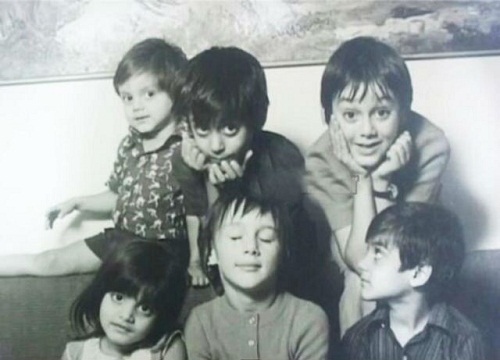 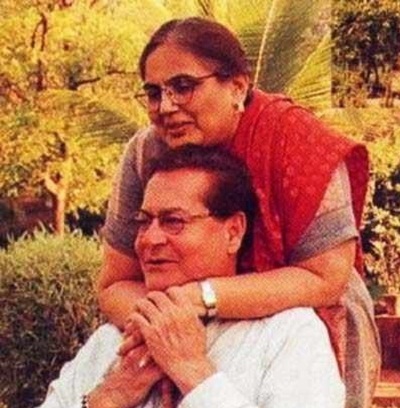 He was born to Salim Khan, a screenwriter and Sushila Charak, the couple gave birth to four children. 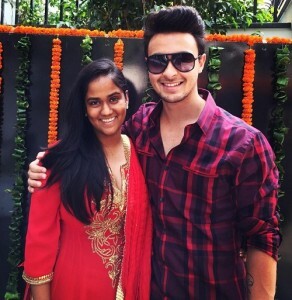 His father is also married to dancer Helen since 1981 and they adopted a daughter named Arpita Khan. 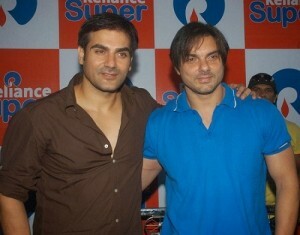 Bollywood superstar Salman Khan is his elder brother and actor Sohail Khan is his younger brother. He has an younger sister named Alvira Khan, married to Atul Agnihotri and an adopted sister Arpita Khan, married to Aayush Sharma in 2014. 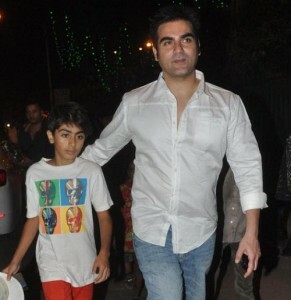 He is married to Bollywood actress Malaika Arora Khan since 1998 and the couple gave birth to a son named Arhaan in 2002.